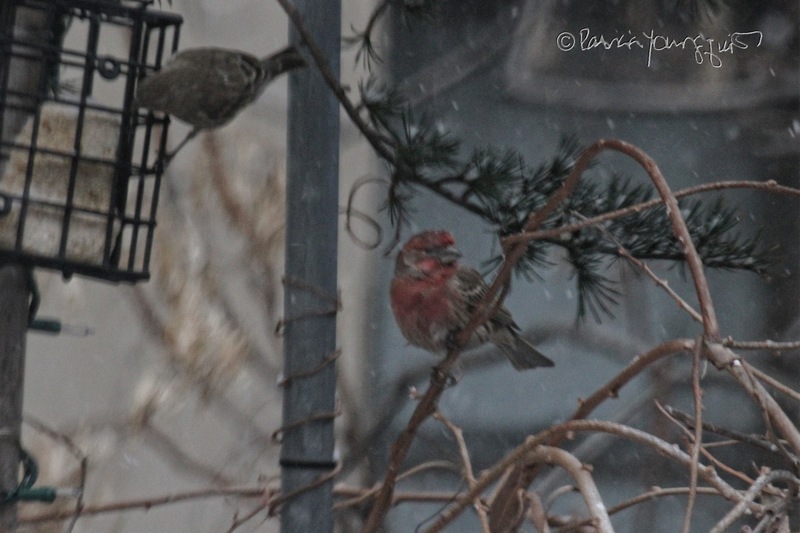 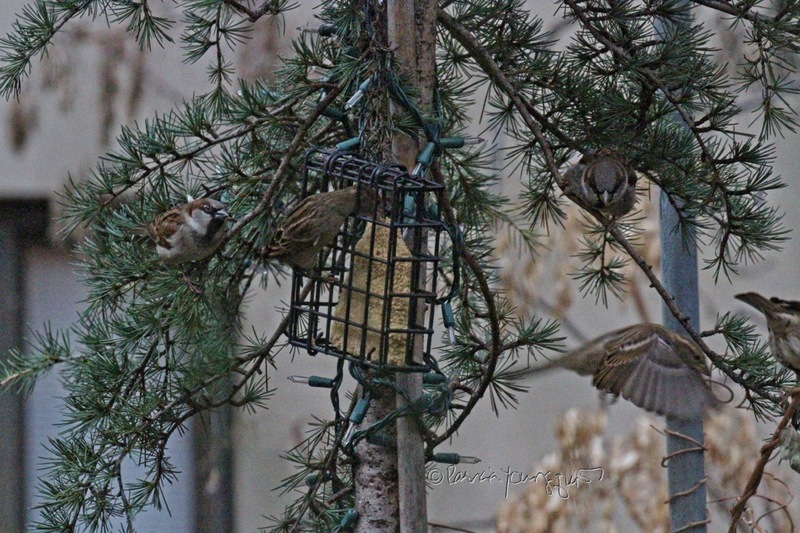 The Last Leaf Gardener: Wednesday's Wisdom: Let them eat suet! 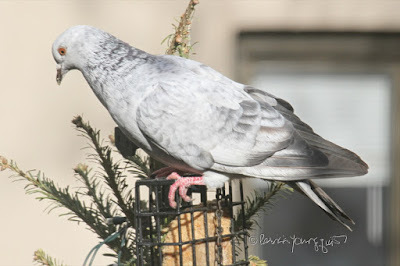 An article by Drs. 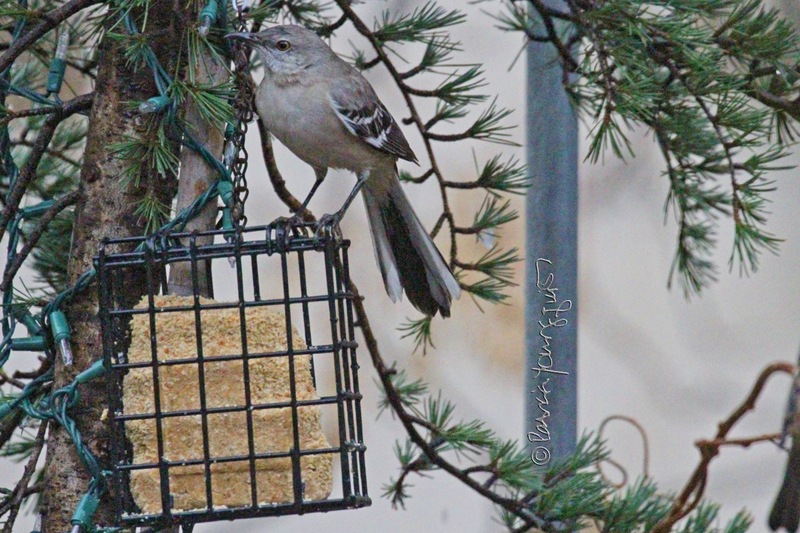 Foster & Smith Educational Staff, states "suet was once something we stocked our backyard feeders with only in the winter months. 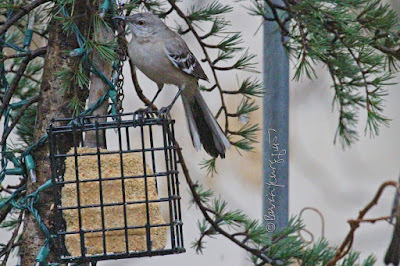 Present day suet use is much broader - and more beneficial to birds. In spring, it meets the increased energy demands of nesting birds. In the summer months, it provides a good substitute for insect-eating birds, especially in years when insects are not very plentiful. 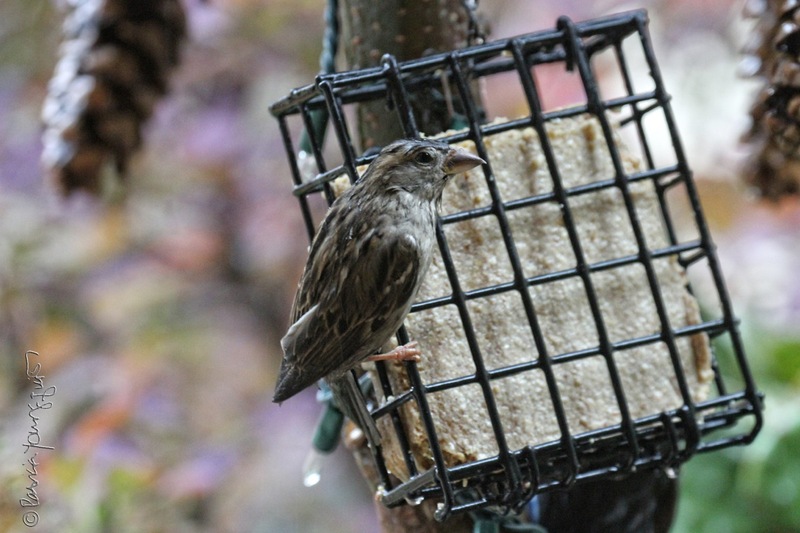 In fall, suet helps wild birds store fat to prepare for migration or the coming winter. 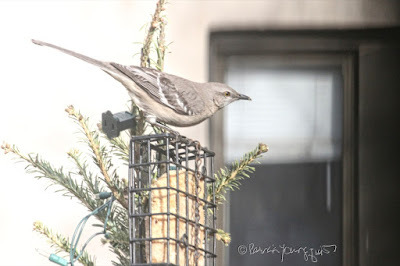 And of course, in winter, suet replenishes depleted stores of energy and nutrients, to help birds survive the long, cold months." 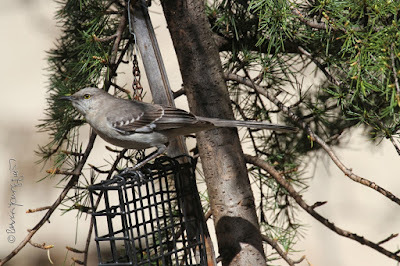 Over the past few years, a number of wild birds have come to my rooftop garden for suet, including members of the Northern mockingbird community, as evidenced in the photographs atop this entry. 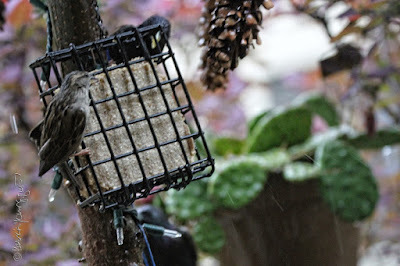 The aforementioned article goes on to explain that "Bird suet is made from fat - oftentimes rendered animal fat. This doesn't exactly conjure up a picture of healthy dining. 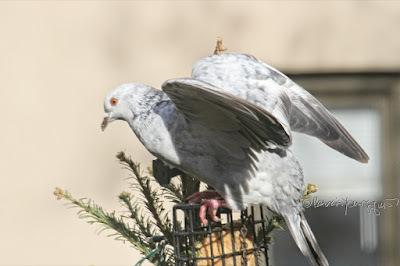 But, fat plays a very important role in both human and avian diets. Along with protein and carbohydrates, fat is one of the three dietary sources of calories - or energy. 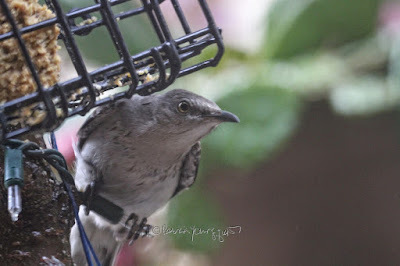 Fats are concentrated forms of energy and, per unit weight, provide more than twice the caloric energy as protein or carbohydrates of equivalent weight. This is very important for birds because their metabolisms are extremely accelerated. Fat energy helps them sustain activity levels longer between meals..."
Furthermore, they implore their reader to "bring out the suet," which is my feeling exactly when I say, Let them eat suet, as evidenced in all he pictures featured within this entry and the ones of a lone downy woodpecker in yesterday's blog post.